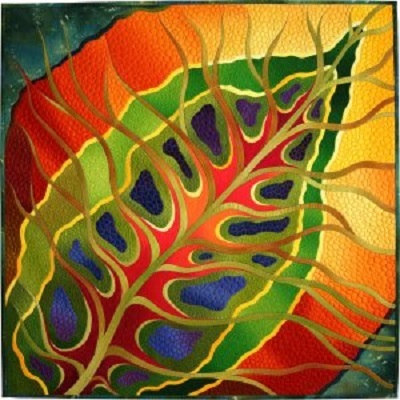 Some photos from Road to California Show 2015 that was in Ontario, California, at the Ontario Convention Center, are in this slide show presentation by Smilebox from The Quilt Show. The show was January 22 – 25th. This solo exhibition of Caryl Bryer Fallert-Gentry’s work includes a retrospective of her past work, her traveling 30th anniversary show, and several pieces of art to wear. Contemporary quilters look to the past for inspiration; the Museum’s new exhibit for 2015 showcases work from the book 500 Traditional Quilts. “Selections From the Book 500 Traditional Quilts” features thirty-six works included in the recent release, which was juried by Museum co-founder Karey Bresenhan. The exhibit will fill all three galleries in the Museum with contemporary quilts featuring traditional patterns, techniques, styles, and quilting methods that harken back to the earliest days of the art form. “Selections From the Book 500 Traditional Quilts” will be on view until March 29, 2015. “These quilts are the crème de la crème of traditional quiltmaking today. If you missed seeing the exhibit at International Quilt Festival, then you have another chance to see many extraordinary selections from this new book,” adds Museum curator Dr. Sandra Sider. The San Jose Museum of Quilts & Textiles in San Jose, California, is sharing a number of images with The Quilt Show, photographed by Dottie Cichon, from the Darwin D. Bearley Antique Ohio Amish Quilts exhibition, currently at the museum. This exhibit includes over 40 bed, crib and doll quilts, illustrating the breadth of the Ohio Amish quilt making tradition between 1880 and 1940. Each quilt in the Bearley Collection also contains a story about its maker, recipient, or the dealer/collector who found each one, and brought them out of Amish homes and into the marketplace. The exhibit runs through March 15, 2015. 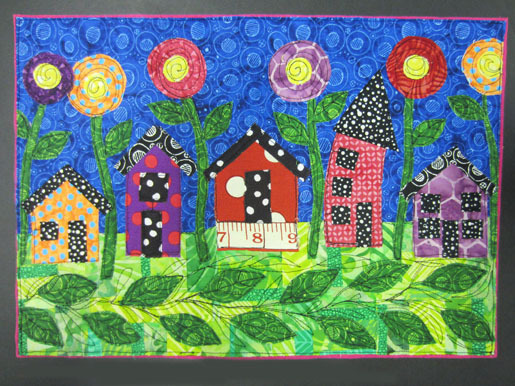 Here’s a well done tutorial on making a Whimsey House art quilt designed by Jamie Fingal on Bernina’s blog We all Sew. Quilting Hub has improved their location of worldwide quilt shops. The result is Find Quilt Shops where you click country, then region/state, then city for a list of click-able shops for the city. Try It Now! In Part Deux are some of the quilts from the Nihon Vogue Japan contest and an overview of the Inger Johanne Rasmussen exhibition. Thank you to Quiltmania magazine for sharing the images. Click here to see a program from the show.